When you first start out gardening, you often don’t realize how easy it is to collect your own seeds. 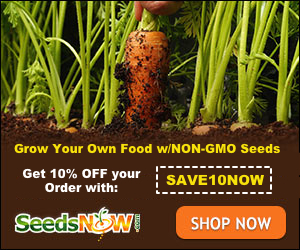 It’s very convenient to just keep ordering seeds on the internet or buy the seeds at the store. However, when you first get hooked on saving your own seeds, it is as if a whole new world opens up to you. You will soon discover that a lot of other gardeners also save their seeds and are willing to trade seeds with you. That way you can increase the number of varieties you grow, and often you will be able to start growing great tasting vegetables that you don’t even find in any grocery store. You will be able to selectively choose the strongest plants to collect seeds from. Seeds from plants that already thrive and flourish in your local climate will be much better suited to the conditions in your location. Chances are your own seeds will produce stronger and more adapted plants than the seeds you buy in the store. In addition, you will save some money by not buying seeds anymore, and probably make some new gardening friends along the way. Some plants are easier to collect seeds from than others. So, start with the simple once where the seeds are easy to find. This can be plants like peppers and chilies, where you just have to slice the fruit open and grab the seeds. Other plants, like the borage for instance, have seeds that are easy to find, but they need to be picked at the right time when they are ripe. The first year I tried harvesting borage seeds, I picked most of the seeds too early when they were still green. The next spring, I was very disappointed when only two seeds germinated. Later on I stumbled upon a video by John Kohler at Growing your Greens where he shows how to harvests borage seeds, and I realized I had harvested the seeds to early. Then you have plants like the cucumber where the seeds are not solid, and the carrots which only produces seeds the second year. Plants like that may be more challenging to collect sees from, but it’s not impossible! If you want some of your own carrot seeds, you have to let one or two carrots overwinter and collect the seeds the following year. These carrots are not edible any more, but you will get lots of seeds. When you have collected your seeds you place them on a piece of kitchen paper to dry. After they are dry, the seeds should be stored in a dry, cool and dark place. I like to store my seeds in coffee filters to be sure no moisture gets stuck in with the seeds. Then I store the coffee filters in a box in a cupboard until next spring. Make sure to label each bag with the name of the plant and the year harvested. Next spring you are ready to start sowing your own seeds! Seeds that are stored well, will keep for several years, so if you have collected to may seeds, it’s no problem keeping some for later. Or – swap some of them, and try out a few new vegetables!